I Appreciate the Love and a Card too! and patience you have shown me as of late. and I really appreciate it! HUGS to each one of you! I love my blogosphere friends!! Also, I am back to work and you know what that means…pure utter exhaustion! Till this school year gets off the ground, it maybe rather quiet for a week or so! Hang with me and don’t give up! PLEASEEEEEE! and here is what I have done this week! This is a type of tri-fold card and not to hard to do! If you have any questions please let me know. Stampin Up and something I picked up at Michaels. 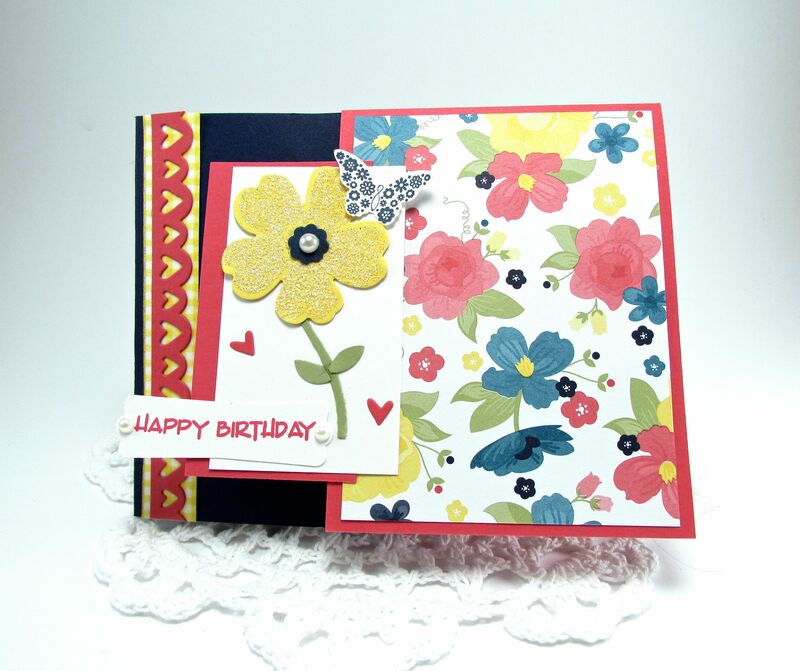 My heart border on the front is a new Verve Die….Love it! Before I go WordPress has changed their formatting and I don’t like it one bit! Or if you got an email last night that I posted something new my deepest apologies! 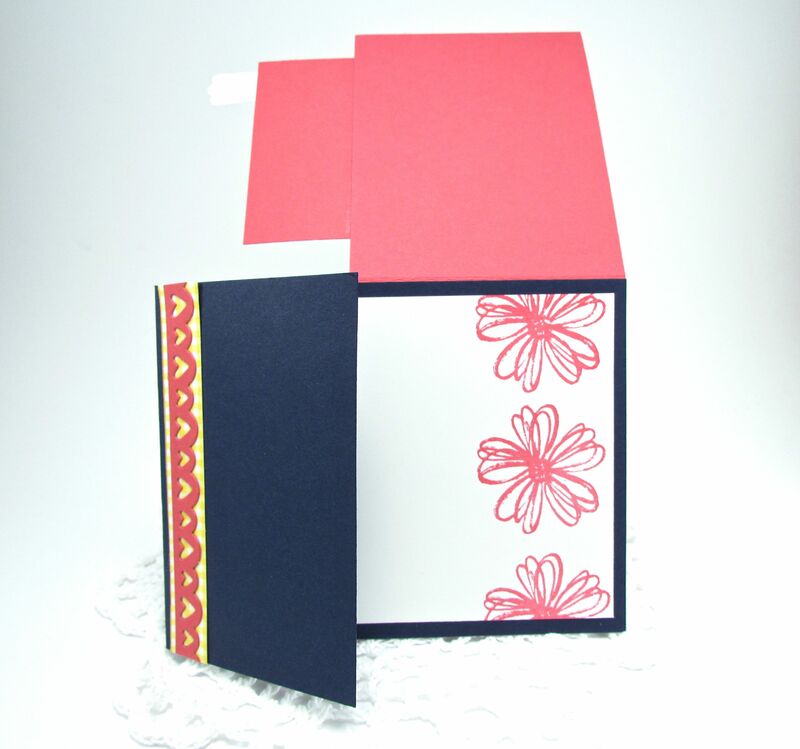 Categories: Cards | Tags: Card making, Cards, rubber stamps, Stampin Up, stamping | Permalink. 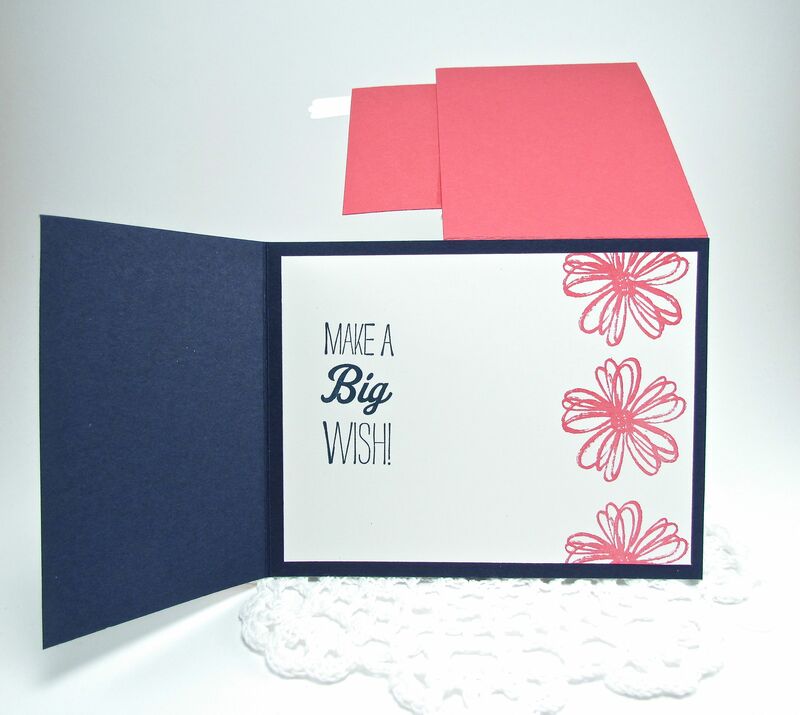 What a fun fold to your pretty card! Your paper is Pretty and I LOVE the flower you made on the outside! FAB stamping inside. I need to get better at doing that! Your card is so pretty Nancy! Thanks for your lovely comments on my blog!! Hope you were able to get some rest this weekend and things get easier with work. Have a good week! Lovely card, Nancy, so full of happy colors. It made me smile!